Rocket Matter Knowledge Base Batch BillingWhat does "Days since invoice was generated" mean? 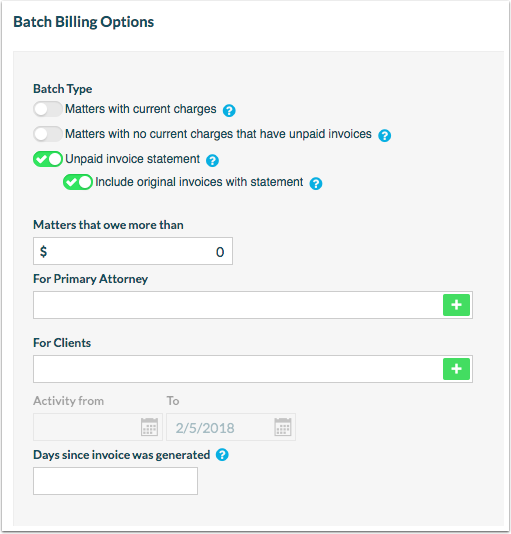 Prev: How to download invoices from a batch billing. Next: How to delete a single statement.